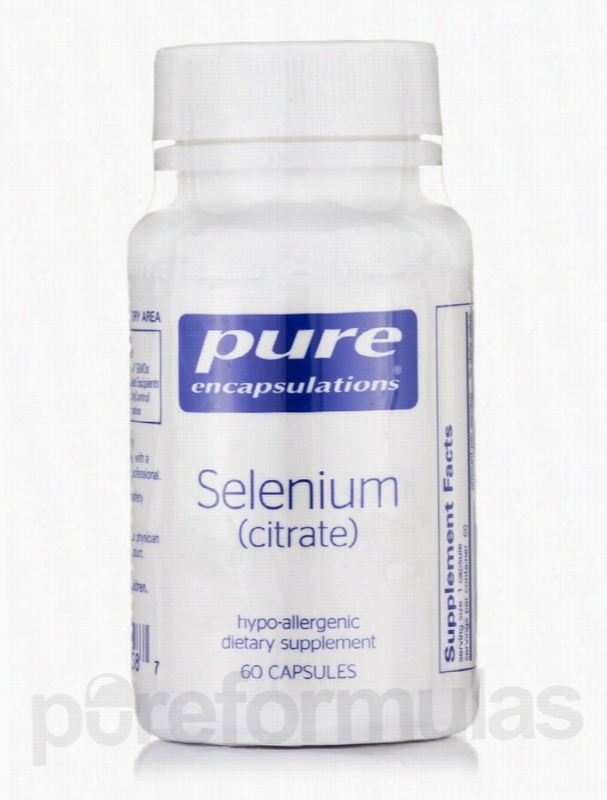 Pure Encapsulations Cellular Support - Selenium (citrate) - 60. Unfortunately, PureFormulas is not allowed to sell/ship this brand to international destinations. Selenium is Essential to the healthy functioning of your body. Selenium acts as an antioxidant&sbquo; which means that it neutralizes the harmful effects of free radicals. Free radicals are molecules that can kill or change the structure of your cells; these altered cells are believed to cause health problems. Free radicals occur naturally in our bodies as the result of oxidation&sbquo; but exposure to pollutants like tobacco smoke and can increase their levels. Though your body produces antioxidants on its own&sbquo; its production declines as you get older. Fortunately&sbquo; selenium can boost antioxidant production at all stages of life. In addition to being a potent ally in the fight against free radicals&sbquo; selenium can also support your immune system and thyroid glands. This is particularly important&sbquo; because your immune system is responsible for protecting your body from harmful bacteria and viruses. Your thyroid gland is responsible for managing your metabolism&sbquo; providing your cells with all the energy that they need to function. A selenium deficiency can negatively affect both of these functions&sbquo; making you more susceptible to infections and other health problems. Drinking alcohol and smoking cigarettes can cause your selenium levels to drop. Your selenium levels might also be low if you take hormonal birth control. If your selenium levels are insufficient for whatever reason&sbquo; you might want to consider taking a supplement like Selenium (Citrate) by Pure Encapsulations. Each vegetable capsule provides 200 mcg of selenium&sbquo; in the form of highly bioavailable selenium citrate. When taken at the recommended daily dosage of one capsule daily&sbquo; each 60-capsule bottle of Pure Encapsulations&rsquo; Selenium Citrate should last for approximately two months. Pure Encapsulations seeks to formulate and manufacture high-quality&sbquo; hypo-allergenic dietary supplements. Quality control during the formulation and manufacturing process is paramount. All Pure Encapsulations products are made with the most bioavailable ingredients possible. These statements have not been evaluated by the Food and Drug Administration (FDA). These products are not meant to diagnoseÃ¢ÂÂ treat or cure any disease or medical condition. Please consult your doctor before starting any exercise or nutritional supplement program or before using these or any product during pregnancy or if you have a serious medical condition. Pure Encapsulations Cellular Support - Selenium (citrate) - 180. Unfortunately, PureFormulas is not allowed to sell/ship this brand to international destinations. Trace elements are nutrients that your body requires in small but vital amounts. Selenium is one of these trace elements. It works to protect your overall health from potentially harmful free radicals. Due to its ability to scavenge free radicals&sbquo; selenium is often considered to be a natural Antioxidant. As a result&sbquo; it may shore up the human body's own defenses and maintain healthy cells. These antioxidant properties can also help your immune system function more effectively. Selenium can also help delay the oxidation of polyunsaturated fatty acids in the body. This may preserve tissue elasticity&sbquo; which may help you look and feel younger as you get older. Selenium may also support healthy blood flow. Your body needs it in order to produce certain prostaglandins&sbquo; which are lipid compounds that may manage clotting: one type of prostaglandin promotes the formation of blood clots where needed to repair damage&sbquo; while another type can prevent excessive clotting in areas of the blood vessel walls where those clots are unnecessary. When combined with vitamin E&sbquo; selenium may be even more useful. They work synergistically to boost energy levels&sbquo; by improving the functioning of some energy-producing cells. In addition&sbquo; these nutrients can support the reproductive system&sbquo; as well as growth. Finally&sbquo; selenium might play a role in synthesizing thyroid hormones. 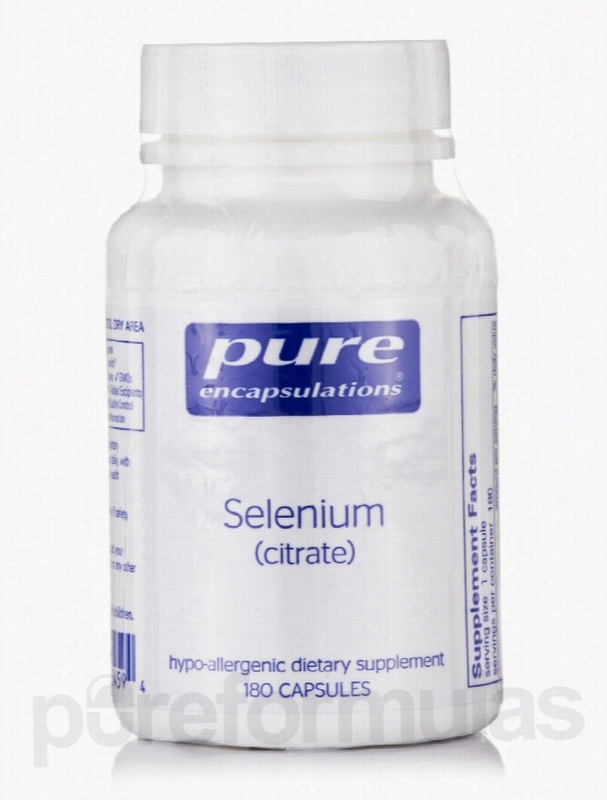 Selenium (Citrate) by Pure Encapsulations provides a highly bioavailable form of this trace mineral&sbquo; maximizing absorption and your ability to benefit from it. Every capsule contains 200 micrograms of selenium citrate. Take one vegetable capsule daily with a meal. At the recommended dosage&sbquo; each 180-capsule bottle of Pure Encapsulations' Selenium (Citrate) should last for about six months. Pure Encapsulations seeks to formulate and manufacture high-quality&sbquo; hypoallergenic dietary supplements. Quality control during the formulation and manufacturing process is paramount. All Pure Encapsulations products are made with the most bioavailable ingredients possible. These statements have not been evaluated by the Food and Drug Administration (FDA). These products are not meant to diagnoseÃ¢ÂÂ treat or cure any disease or medical condition. Please consult your doctor before starting any exercise or nutritional supplement program or before using these or any product during pregnancy or if you have a serious medical condition. Innate Response Formulas Cellular Support - Selenium - 90 Tablets. Douglas Laboratories Cellular Support - Selenium + Vitamin E - 90. 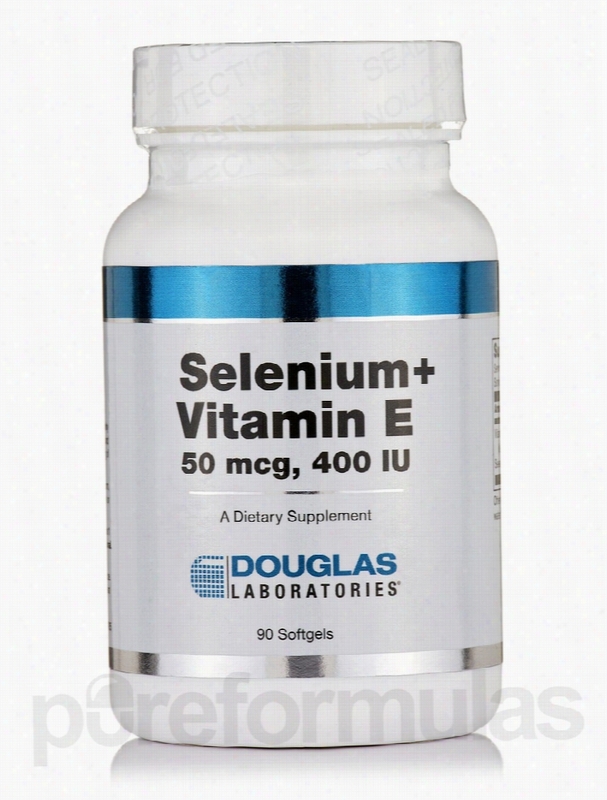 Douglas Labs&rsquo; Selenium + Vitamin E Softgels may be a great way to supply your body with beneficial antioxidants. Selenium in usually referred to as an essential mineral&sbquo; which means your body can&rsquo;t produce it and it needs to be provided through a balanced diet. Selenium content in foods can vary and it can usually be found in nuts&sbquo; fish&sbquo; beef&sbquo; and poultry. If you feel that you might not be getting enough in your diet&sbquo; then Douglas Labs&rsquo; Selenium + Vitamin E Softgels may be a great help. Selenium may be able to support antioxidant effectiveness in your body. This means it can help reduce the effects of cellular damage caused by oxidative free radicals in your system. These toxins are usually the product of metabolic reactions and environmental pollutants. Selenium is also a cofactor to at least 10 important selenoproteins in your body. Vitamin E is also one of the most important antioxidant nutrients you can benefit from. It protects delicate cell membranes and may work with selenium to promote improved cellular health. Douglas Labs&rsquo; Selenium + Vitamin E Softgels provide 50 mcg of selenium and 400 IU of Vitamin E in each serving. Order with PureFormulas today and help support potentially healthier cells with Douglas Labs&rsquo; Selenium + Vitamin E Softgels. These statements have not been evaluated by the Food and Drug Administration (FDA). These Products are not meant to diagnoseÃ¢ÂÂ treat or cure any disease or medical condition. Please consult your doctor before starting any exercise or nutritional supplement program or before using these or any product during pregnancy or if you have a serious medical condition. Ortho Molecular Products Cellular Support - Reacted Selenium - 90. Selenium is one of the many minerals that your body needs in order to function properly. It&rsquo;s involved in the production of a number of important antioxidants that your body needs to fight off the effects of free radicals&sbquo; molecules that can kill or change the structure of your cells. These changes can lead to a host of Health problems and conditions. Due to selenium's antioxidant properties&sbquo; it's often used to support cardiovascular and immune health; it does the latter by helping your white blood cells function more efficiently. Your thyroid is also affected by the amount of selenium in your body. A selenium deficiency occurs when you don't get enough of the trace mineral&sbquo; which is commonly available in meat or seafood. Although vegetables can also be dietary sources&sbquo; the selenium content of the soil where your food is grown may also leave your selenium levels lacking&sbquo; depending on where you live. Some potential signs of a selenium deficiency include being extremely tired and becoming sick more easily. While it&rsquo;s best to obtain nutrients from whole food sources&sbquo; that isn&rsquo;t always possible. In that case&sbquo; a supplement like Ortho Molecular Products&rsquo; Reacted Selenium might be exactly what you're looking for. Reacted Selenium Capsules contain nothing but selenium&sbquo; without any additional fillers or additives. Each bottle of this supplement contains 90 capsules&sbquo; which should be enough to last for up to three months&sbquo; depending on your dosage. The recommended dose is one capsule per day&sbquo; unless otherwise advised by your doctor. Ortho Molecular Products prides itself on making effective supplements from scientifically designed formulas. For over 20 years&sbquo; they&rsquo;ve been providing proven products with superior raw ingredients. Their manufacturing practices rise above industry standards and regulations. The most important priority for Ortho Molecular Products is that those who use its supplements get and stay healthy as soon as possible. These statements have not been evaluated by the Food and Drug Administration (FDA). These products are not meant to diagnoseÃ¢ÂÂ treat or cure any disease or medical condition. Please consult your doctor before starting any exercise or nutritional supplement program or before using these or any product during pregnancy or if you have a serious medical condition. Pure Encapsulations Cellular Support - Selenium (selenomethionine) -. Unfortunately, PureFormulas is not allowed to sell/ship this brand to international destinations. There are many natural antioxidants that your body needs to support overall Health. One of these is selenium&sbquo; a trace element. Foods like tuna&sbquo; Brazil nuts&sbquo; halibut&sbquo; sardines&sbquo; beef&sbquo; shrimp&sbquo; and eggs and whole grains are good dietary sources. Selenium works to scavenge free radicals that may cause your cell membranes and DNA harm. As a result&sbquo; it boosts the human body's natural defenses and supports normal cellular functioning&sbquo; which may lessen the appearance of signs of aging. 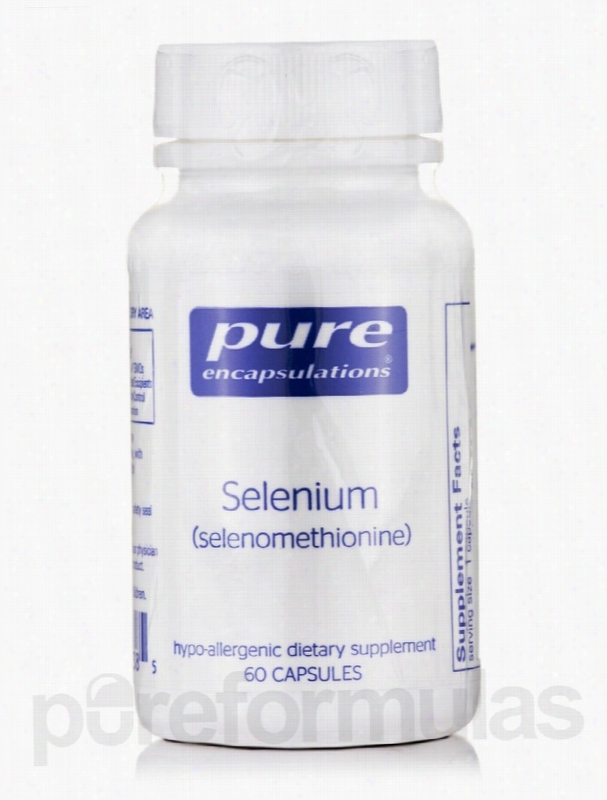 Selenium (selenomethionine) by Pure Encapsulations provides this nutrient in order to support several essential physiological functions. These include maintaining tissue elasticity&sbquo; while also delaying polyunsaturated fatty acid oxidation. Oxidative stress&sbquo; which occurs due to the combined exposure to free radicals from both natural metabolic processes and environmental toxins&sbquo; can contribute to health problems and damaged cells. When combined with vitamin E&sbquo; selenium (selenomethionine) may have several additional benefits. It can support some of the cells that are responsible for producing energy. Overall&sbquo; it may promote fertility and growth. Finally&sbquo; selenium supports healthy blood flow because it is essential to the production of prostaglandins. It is also involved in thyroid hormone synthesis&sbquo; and immune system functioning; the latter is because it may work with other minerals to build up white blood cells. There are several forms of selenium supplements available on the market. Selenium (selenomethionine) combined selenium with organic methionine that is incorporated directly into proteins; it releases selenium into the blood stream when these complex molecules are broken down during the metabolic process. Take one capsule daily with a meal. At the recommended dosage&sbquo; each 60-capsule bottle of Pure Encapsulations' Selenium (selenomethionine) should last for about two months. Pure Encapsulations seeks to formulate and manufacture high-quality&sbquo; hypoallergenic dietary supplements. Quality control during the formulation and manufacturing process is paramount. All Pure Encapsulations products are made with the most bioavailable ingredients possible. These statements have not been evaluated by the Food and Drug Administration (FDA). These products are not meant to diagnoseÃ¢ÂÂ treat or cure any disease or medical condition. Please consult your doctor before starting any exercise or nutritional supplement program or before using these or any product during pregnancy or if you have a serious medical condition. American Biologics Immune Support - Selenium Forte 200 mcg - 90. Selenium Forte by American Biologics may offer support for your overall well-being by providing the trace element selenium. For instance&sbquo; selenium may help strengthen your immune system: by encouraging your body to produce more white blood cells&mdash;which are key to fighting off infections&mdash;selenium may potentially work to alleviate symptoms of certain mild illnesses. 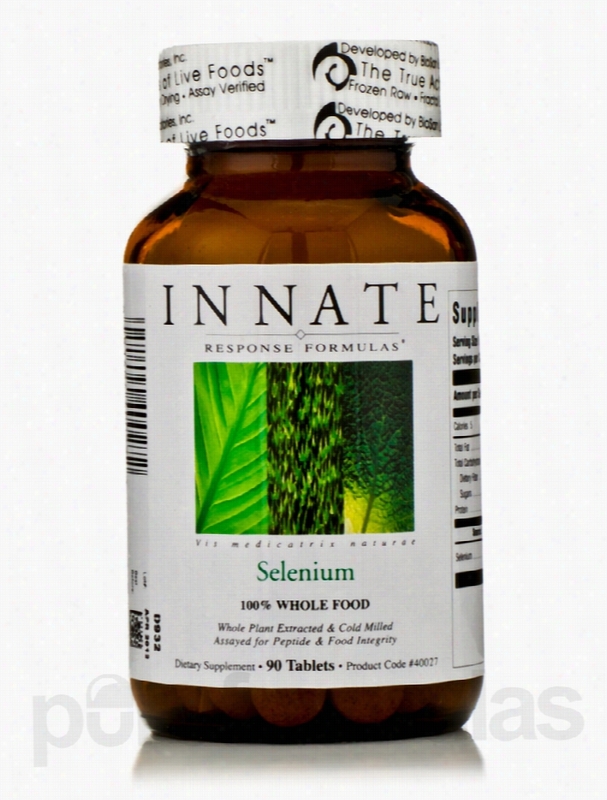 In addition&sbquo; this selenium supplement could have a mild detoxifying effect. Selenium may work to activate glutathione peroxidase (GSH)&sbquo; which is an antioxidant enzyme that might remove potentially harmful free radicals and heavy metals from your body. As a result&sbquo; Selenium Forte may be able to protect your cells from oxidative damage. Selenium Forte might also work to promote healthy cardiovascular function; this is because selenium may help address certain symptoms associated with plaque buildup in your arteries. At the same time&sbquo; selenium may work to relieve symptoms of joint inflammation by encouraging the production of prostaglandins (hormone-like substances). 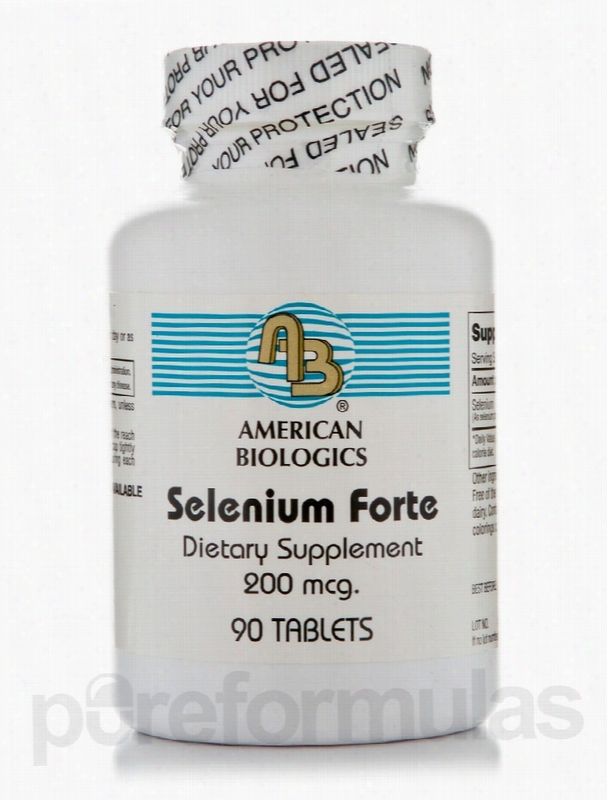 Each tablet of American Biologics&rsquo; Selenium Forte provides 200 micrograms of selenium proteinate. At the recommended dosage of one tablet daily&sbquo; every 90-tablet bottle should last for about three months. These statements have not been evaluated by the Food and Drug Administration (FDA). These products are not meant to diagnoseÃ¢ÂÂ treat or cure any disease or medical condition. Please consult your doctor before starting any exercise or Nutritional supplement program or before using these or any product during pregnancy or if you have a serious medical condition. Vital Nutrients Cellular Support - Selenium 200 mcg - 90 Capsules. Your health depends on a collection of Vitamins and minerals that your body processes and supports itself in functioning. While some of these nutrients undoubtedly are needed and used more commonly and in greater numbers than others&sbquo; in the end all of them are important. Even with a mineral like selenium&sbquo; which your body does not requires in large quantities&sbquo; is important to supplement to your body and plays a key role in your overall function. 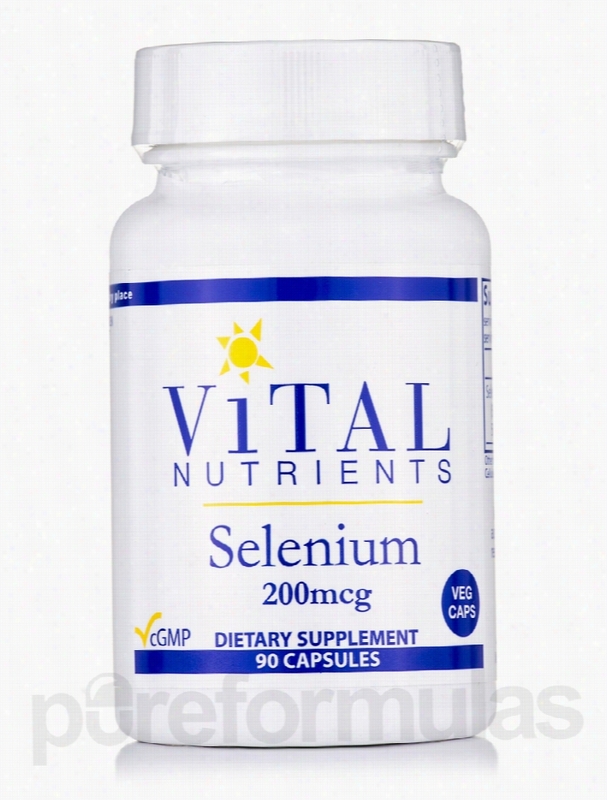 In a dietary supplement like Selenium 200 mcg 90 capsules by Vital Nutrients&sbquo; you may be able to find the supplementation in this mineral element that plays an important role in metabolism for your body. One beneficial component that selenium may be able to provide is a helpful amount of antioxidant potential. The properties included in selenium allow cells to escape dangers from free radicals which seek to damage cell walls. Although selenium is found naturally in foods&sbquo; you also need to be wary of protecting against a selenium deficiency. Your thyroid's natural function and immune system also depend on the effects of selenium in a normal diet in order to work at its top speed. 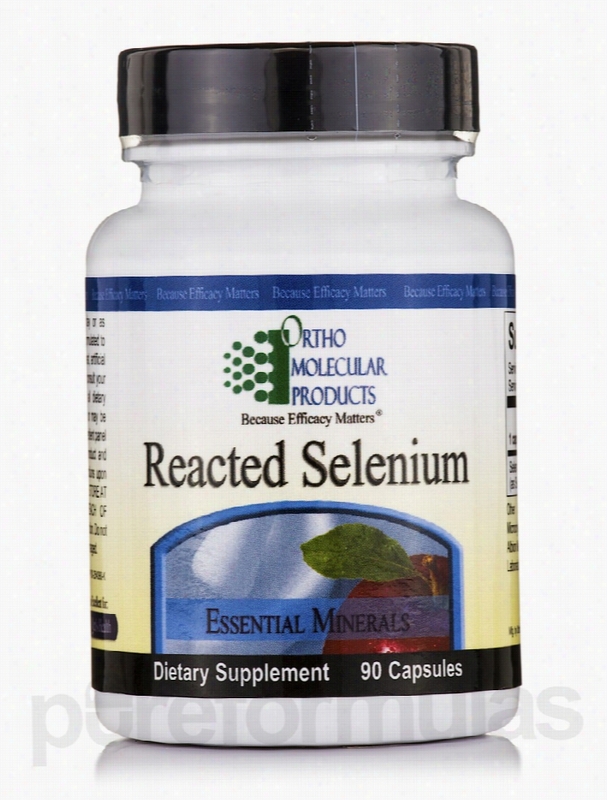 Selenium supports enzymes&sbquo; and through this enzyme support the body can be benefitted&sbquo; with a 50% sodium selenite&sbquo; 50% selenomethionine combination. Vital Nutrients has independently tested this supplement to confirm its safety. These tests for Selenium 200 mcg include potency&sbquo; solvent residue&sbquo; stability and bacteria&sbquo; yeast and mold counts&sbquo; and authenticity testing. Each 90 capsule bottle of Selenium 200 mcg by Vital Nutrients should last anywhere between 2-3 months at the recommended dosage of 1-2 capsules a day&sbquo; or as directed by a healthcare professional. Vital Nutrients provides a variety of effective&sbquo; safe dietary supplements. All of their products are gluten-free&sbquo; GMO-free&sbquo; and packaged in BPA-free bottles. These statements have not been evaluated by the Food and Drug Administration (FDA). These products are not meant to diagnoseÃ¢ÂÂ treat or cure any disease or medical condition. Please consult your doctor before starting any exercise or nutritional supplement program or before using these or any product during pregnancy or if you have a serious medical condition. 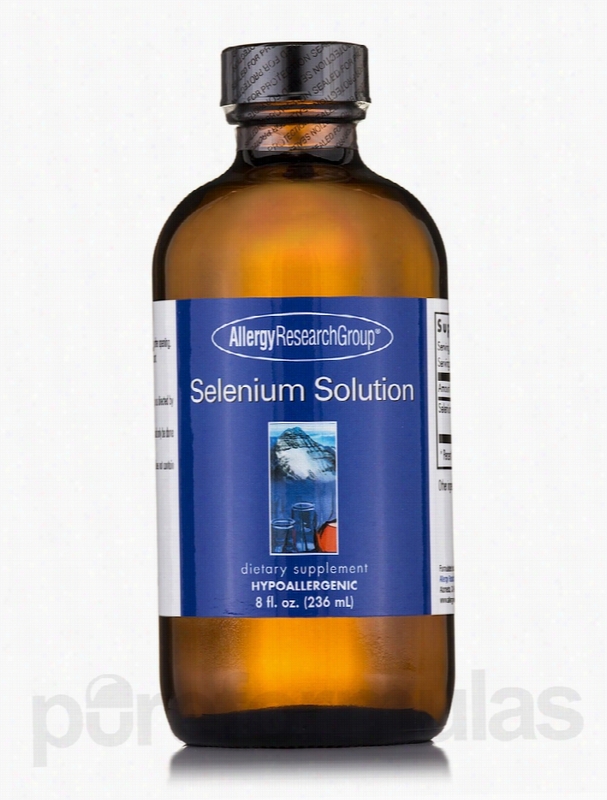 Allergy Research Group Hormone/Glandular Support - Selenium Solution. Physiologics Cellular Support - Selenium 200 mcg - 100 Vegetarian. Selenium is an important mineral for several reasons. It acts as a cofactor for certain antioxidant enzymes&sbquo; which allows them to fight off free radicals and protect your cells more effectively; at the same time&sbquo; selenium helps recycle vitamin E within the Body. By assisting glutathione in neutralizing hydrogen peroxide&sbquo; selenium may promote increased immunity through its support for healthy lymphocyte levels. In addition&sbquo; selenium can support healthy thyroid functioning by playing a role in the conversion of the hormone T4 into T3. 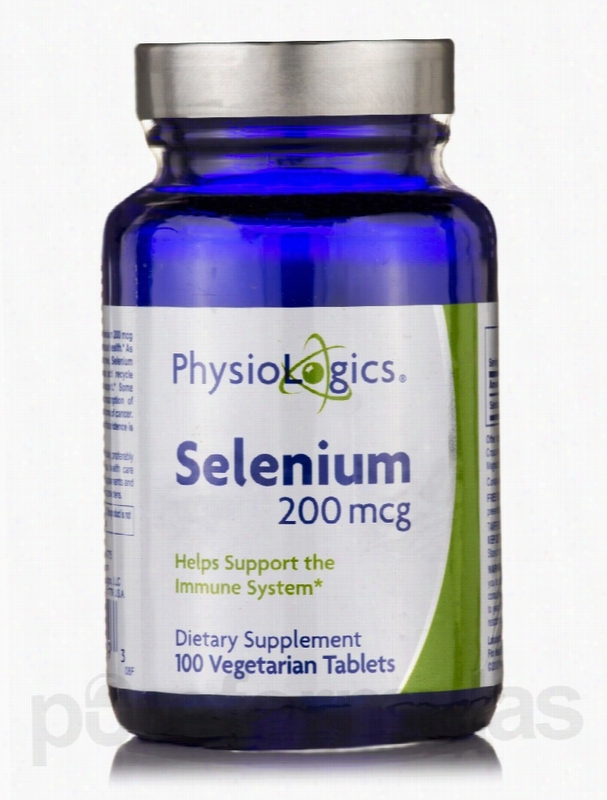 A supplement like PhysioLogics' Selenium 200 mcg is a convenient source of this nutrient. While trace amounts of selenium are contained in a wide variety of foods&sbquo; today's foods may have decreased levels of selenium due to depleted soils. Furthermore&sbquo; refining or processing also tends to remove selenium. Every tablet provides 200 micrograms in order to ensure steady intake. Take one vegetarian tablet per day. At the recommended dosage&sbquo; each 100-tablet bottle of Selenium 200 mcg by PhysioLogics should last for slightly over three months. These statements have not been evaluated by the Food and Drug Administration (FDA). These products are not meant to diagnoseÃ¢ÂÂ treat or cure any disease or medical condition. Please consult your doctor before starting any exercise or nutritional supplement program or before using these or any product during pregnancy or if you have a serious medical condition.